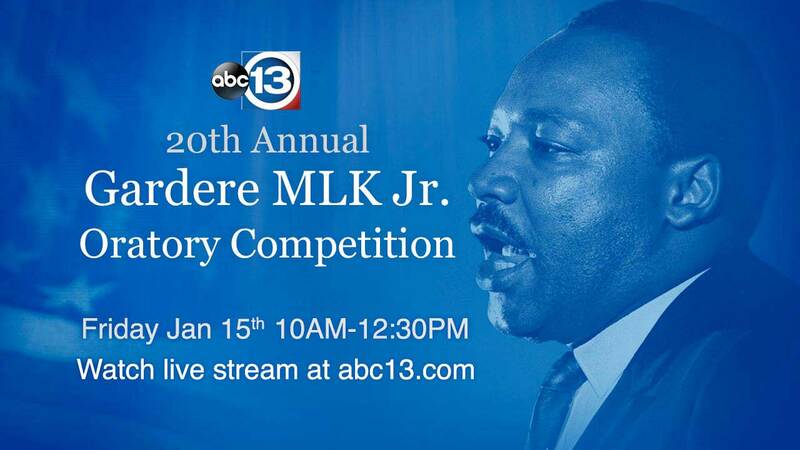 HOUSTON -- Houston-area elementary school students will channel their inner-MLK Friday in the 20th annual Gardere MLK, Jr., oratory competition. We will live stream the event from 10am to 11:30am. Twelve fourth- and fifth-grade HISD elementary school finalists will present original speeches addressing the topic, "What would Dr. King say in his campaign speech if he were running for president this year." Melanie Lawson will be one of the judges.